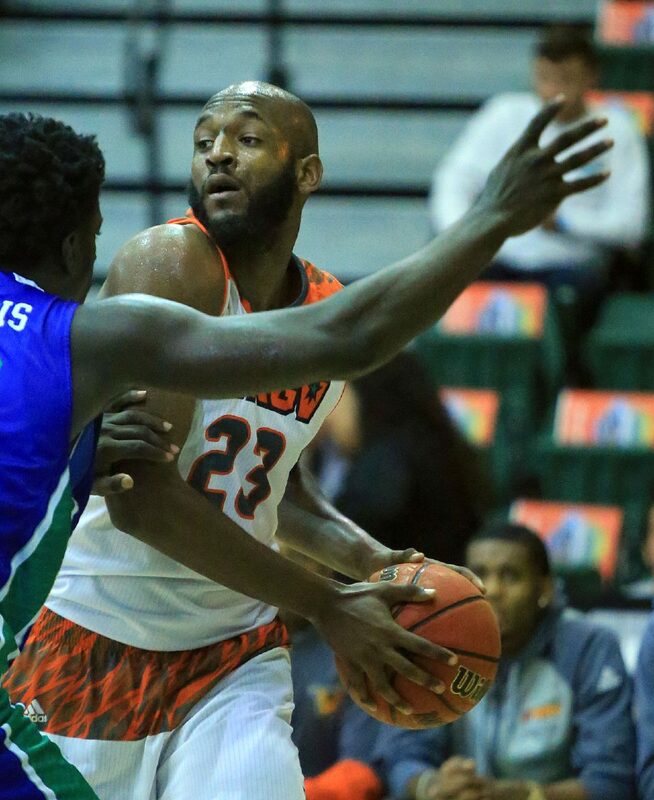 EDINBURG — A little more than two weeks ago, UTRGV men’s basketball coach Lew Hill issued a challenge to his team’s five seniors. Hill said Dan Kimasa stepped up to answer the call. Before the rallying cry, Kimasa was averaging just 1.9 points and 1.9 rebounds per game through his first eight games, lagging behind the 3.3 points and 3.3 rebounds per game he posted last season. But in four games since Hill’s challenge, Kimasa has racked up 11.0 points and 5.5 rebounds per game, notching his three best scoring games and two best rebounding games since Hill took over as coach prior to last season. University of Texas Rio Grande Valley's Dan Kimasa (23) looks to pass the ball against Texas A&M-Corpus Christi in a nonconformance game at UTRGV on Wednesday, Dec 6, 2017, in Edinburg. 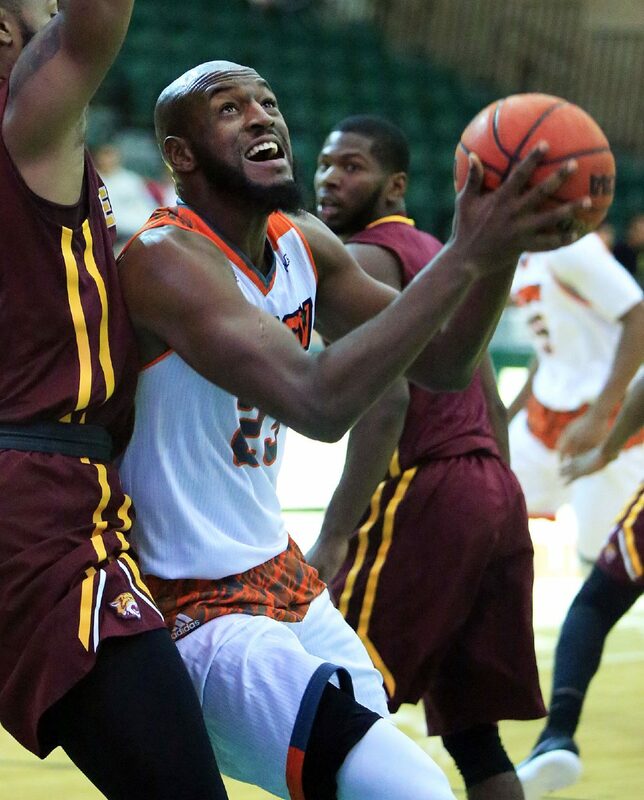 University of Texas Rio Grande Valley foward Dan Kimasa (23) drivers to the basket against the Bethune-Cookman defense in a non conference game at University of Texas Rio Grande Valley on Monday, November 13, 2017, in Edinburg. University of Texas Rio Grande Valley foward Dan Kimasa (23) aims high over the Bethune-Cookman defense in a non conference game at University of Texas Rio Grande Valley on Monday, November 13, 2017, in Edinburg. 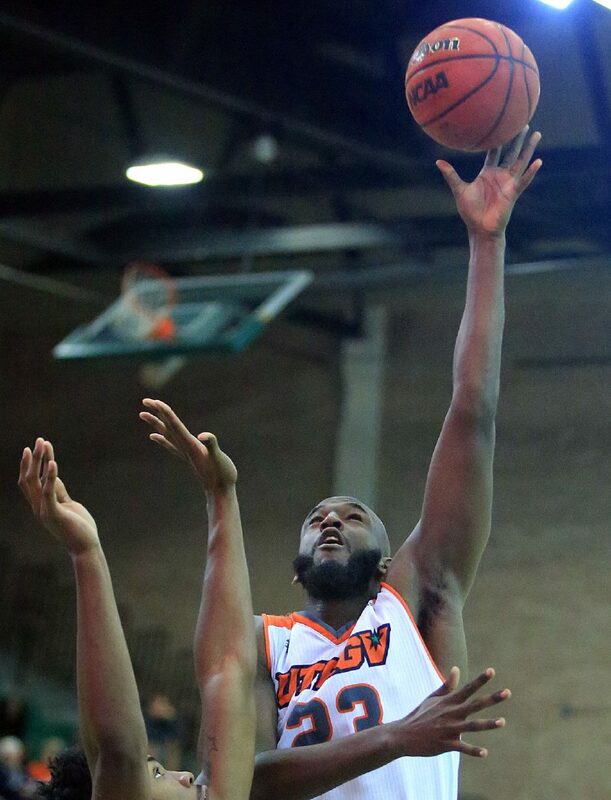 Kimasa will be looking to keep that run of success going as UTRGV enters its toughest nonconference home game of the season, against 7-3 reigning Sun Belt Conference regular season champion UT Arlington at 7 tonight in the UTRGV Fieldhouse. Now a senior, Kimasa was no stranger to productive games when he first entered the program. He averaged 7.3 points and 6.5 rebounds per game as a freshman, then posted 10.0 points and 6.6 rebounds per game as a sophomore. But that was under a different system, playing for coach Dan Hipsher. When Hill took over, he brought with him an up-tempo style, focused on transition offense and full-court pressure defense. Hill had been an assistant at Oklahoma prior to taking the UTRGV job, so Kimasa knew what to expect after watching the Sooners play on TV. He said he still found the shift to be a major adjustment compared to the slow, methodical style UTRGV often employed under Hipsher. Adonis Rwabigi, a UTRGV senior who has known Kimasa since they grew up together in Rwanda, said the transition to the new system was difficult for Kimasa. Hill said playing hard is not in Kimasa’s quiet, mild-mannered nature. But Rwabigwi said the issue was Kimasa learning how to harness his energy. Hill said attacking is starting to come more naturally to Kimasa. He couldn’t pinpoint when or why Kimasa turned the corner, and Kimasa said the change was gradual after more than a year in the demanding practice environment. Kimasa said his conditioning needed to improve to fit the new system, and Hill said the senior is in better shape compared to last season. On offense, Kimasa has been utilizing his midrange jumper, catching the ball in the mid- or high post and facing up. Defensively, Hill has stopped asking Kimasa to try to trap against screens, instead positioning him closer to the basket. Hill wants to see more rebounding and shot blocking from Kimasa going forward, but the senior has already grown leaps and bounds. Hill said Kimasa has played with a newfound confidence in recent games.